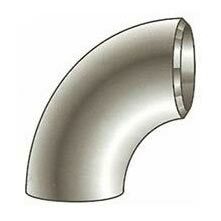 We offer an array of Buttweld Elbow, which is highly acclaimed in the national and international markets. Made from high strength metal and metallic alloys, the Buttweld Elbows are demanded for the excellent performance that they give in the long run. The Buttweld Elbow is provided to the clients as per the specifications put forth by them.